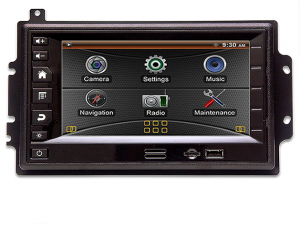 Lectronix has worked with most of the major North American truck OEMs on exciting in-dash technologies. Our legacy work includes the first truck-specific GPS navigation system, the first open-application Android display for trucks, and the first truck headunit display that features wireless updates. Through these projects we have developed an extensive library of truck-specific technology building blocks. We have validated protocol stacks for operating on the J1939 CAN bus. We can get data reliably throughout the truck, including to the trailer over PLC (power line control) which transmits data over the power lines running to the trailer. We have complete software stacks and applications ready to go for providing driver information and status. Our designs include both wired and wireless networking capabilities for a truck solution that is robust and always connected. If you are looking at product development that needs to operate in a heavy truck environment, you will be hard pressed to find a more knowledgeable, experienced, and enthusiastic partner for design and manufacturing. Contact us to talk to our truck electronics experts and find out how we can help!